The 2017, Gartner CIO Survey gathered data from 2,598 CIO respondents in 93 countries and all major industries, representing approximately $9.4 trillion in revenue and public-sector budgets, and $292 billion in IT spending. 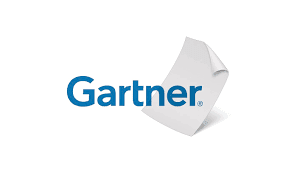 Sixty five Indian CIOs responded to the 2017 Gartner CIO Survey. When asked how much their company's revenue will grow in 2017, the Indian CIOs surveyed reported that they expected average revenue growth of 12.6 percent. This is much higher than the global average of a 4 percent rise in company revenue among respondents. The commitment Indian CIOs have made to digitalization, involves trade-offs and risks. Today, digitalization accounts for 23 percent of the total IT budget in Indian IT organizations which is more than typical performers (18 percent) but still significantly below top performers (33 percent). Indian CIOs plan to accelerate their funding of digitalization by 2018 to 35 percent of total IT budget compared to a predicted 43 percent among top performers.